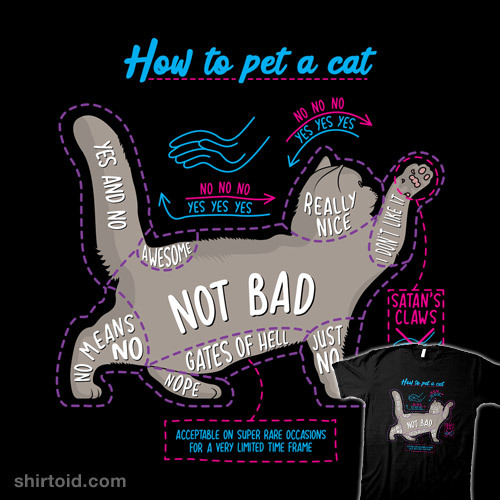 A comprehensive guide of how to pet a cat. All the safe and not-so-safe spots. Remember this does not apply to every single cat.